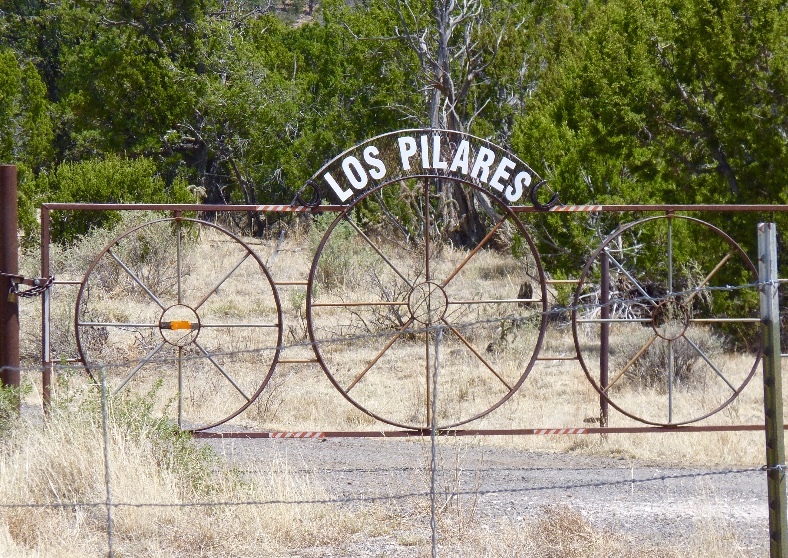 Driving along NM-117, there was an area next to the Rancho de los Pilares with several large rock pillars. 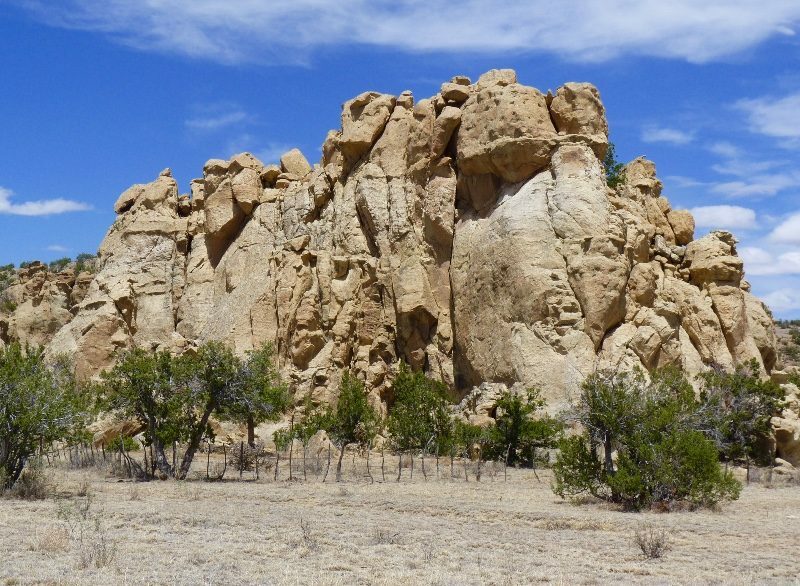 They were within the Ácoma Indian Reservation and adjacent to the El Malpaís National Conservation Area. 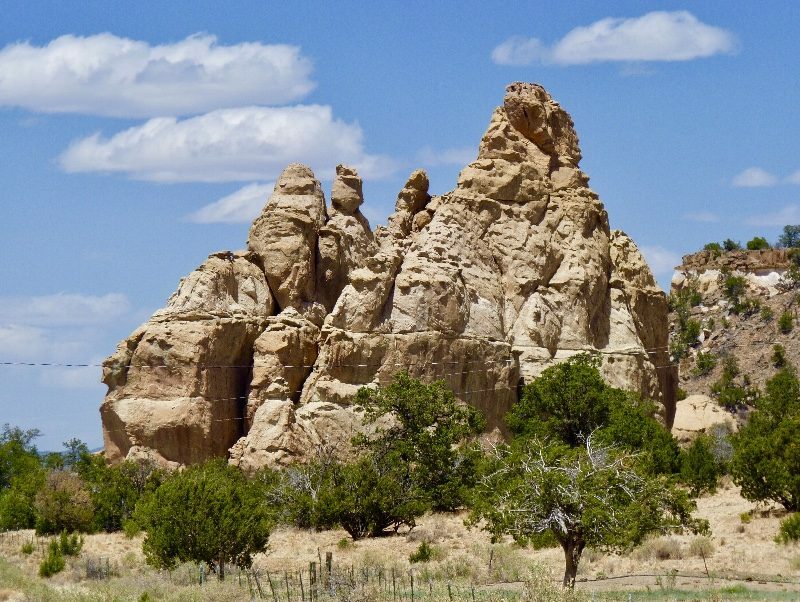 The large sandstone formations were worth the stop to photograph. I don’t know anything about them; except that they were impressive. And, they were separate from the cliffs along The Narrows. 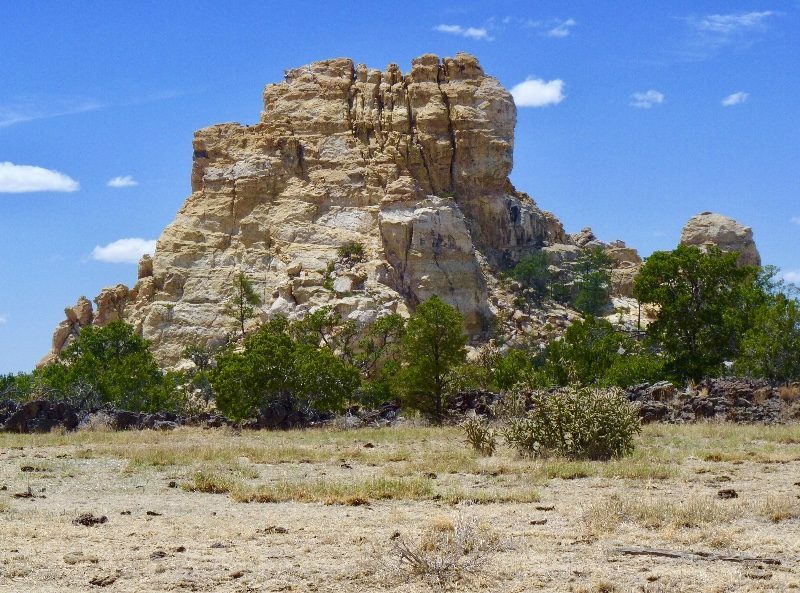 A short distance beyond brought me to my next camp atop some cliffs over looking the lava fields and badlands of El Malpaís National Monument. Thank you Jan. That means a lot coming from you. That certainly looks like a sight worth seeing. Thanks for the information again. Glad you liked it, Barney.